Way back in the day before I ever worked in the car audio field as a professional, I tinkered with audio in the used cars I owned over the years. Like a lot of people, I struggled trying to figure out how to do things. Along the way I learned some hard lessons. It turned out I also learned a number of reasons why you should install your own car stereo system. As time went on I realized how much I benefited from completing all kinds of great car audio installations on my own rather than paying someone else. Installing your own car stereo equipment is really beneficial and I’ve written a solid list of reasons why. Read on to find out why! The first 2 vehicles I owned – in which I had to figure out how to install car stereos – a 1976 Toyota Corolla (left) and later a 1985 Toyota Corolla SR5 (right). It wasn’t easy and I was nearly broke at the time! I somehow had to figure out how to get things done on my own – which I did, enhancing my resourcefulness and knowledge in the process! I had a hard time growing up. I didn’t have much money and I personally couldn’t count on my dad to help and guide me through basic mechanical things. I’ve always been a mechanically-inclined tinkerer at heart, but I had to learn how to use tools and fix things all on my own. The same goes for all my technical projects and repairs and projects up to now including car audio. For me, the first cars I owned were a real challenge. When you’re poor and don’t have the money to pay someone else, you live by the old saying, “Necessity is the mother of invention.” I didn’t have any choice – I had to try and I learned to be resourceful. By taking things apart in my cars with a few basic hand tools like screwdrivers, pliers, and metric sockets, I learned some great skills. I became able to take a car dash apart and put it back together. As I removed the original stereo and tried to fit a new one into place (bear in mind – there were no kits I could buy to do so easily!) I had no choice but to come up with some kind of solution if I wanted it to work. I wanted to listen to better music so badly and was motivated to keep trying. It was a hard struggle and times and there were times when I failed…but I learned so much and I don’t regret it. By trying to do it myself, I learned new skills and had experience I could fall back on next time – I learned to be self-sufficient. That same approach became valuable over and over in many areas of life, too. Money is a precious commodity especially when you’re a young and broke part-time student, for example. What little money you have restricts the things you get to enjoy in life. Be smart and save money when you can – installing your own car stereo system is a FANTASTIC way to save cash and get the great sound you couldn’t afford otherwise. Whether you’re well-off or not, you should consider doing things by yourself to save some money. Why? Allow me to explain more. In many cases, car stereo shops charge a lot. But they charge not only for labor costs, (which is usually fairly reasonable, depending on the shop and where you live) but especially on parts and accessories. You’re almost always to going to pay a lot, and believe me, I’ve seen people overpay because they thought they had no choice but to do so. In reality, the necessary equipment, parts, and information are readily available to you! If you research properly, you can save yourself A LOT of money and avoid being scammed into paying more than you’re supposed to. You have plenty of options – you simply need to learn how to exercise them properly. When we’re young, money is hard to come by unless you’re lucky to be born into the right environment. Most of us struggle financially when we’re young, and there are some adults who are still struggling today. In my experience, unless you are dealing with more difficult installations (like remote start systems, car alarms, etc) you’ll end up wasting a lot of money paying not just for labor but also the parts an installation shop will say you “need” but will mark up significantly – by as much as 40-100%! One of the first principles you’ll learn is that finding good, reliable information takes time. The internet is much better than it used to be but it’s still very much like a junkyard in many ways. Also, you’ll “learn how to learn” – that is, you’ll begin to better understand how you can learn more by seeking out information, learning to cut out what isn’t valuable, and making the best decision possible. When you install your own car stereo systems, you’ll often start at “square one.” That is, you’ll have to figure out on your own what you need to buy, how to install it, and which electronics are the best buys. A person who has very little knowledge about the subject is often overwhelmed with information or can feel like it’s too difficult to accomplish by themselves. But the truth is that everyone starts somewhere. No one is born knowing everything! When you decide to install your own car stereo system you’ll realize soon that you need to scour the internet for reviews, information, and opinions from other people who have contributed feedback. Unfortunately, a lot of it is junk and is biased, being written by people who are emotionally driven and have an axe to grind. However, plenty of others post genuinely helpful and honest opinions about what they bought, how well it works, and how hard it was to install. That’s what you have to seek out. As you go along, you’ll soon discover a few patterns emerge when trying to find information. 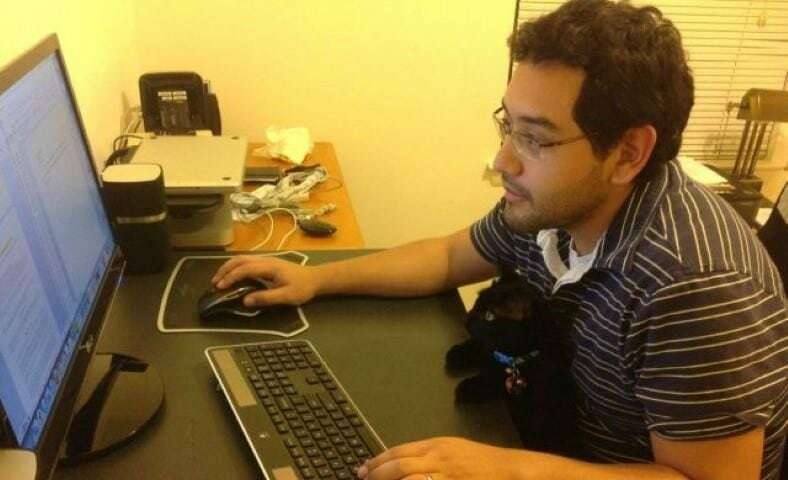 You’re actually doing a form a research! As you go through all these, you’ll soon discover that you’ve become more efficient at finding useful information. After looking up specifications, buyer reviews, and additional details about several car stereos and amplifiers – you’ll have developed a new, personalized method of approaching research. Also, when you start looking for wiring & installation information, you’ll start to see what works and what doesn’t. It can sometimes be a slow and boring process, but you gain more knowledge and experience you can store for future use. The next time you start to look into a similar topic, you’re well-prepared and ready to do even better than before. These days, it’s an extremely practical skillset to have. Unlike most people who just believe anything a salesman would tell them, you know the facts – you can make a well-informed, educated decision based on what you’ve already learned through experience. 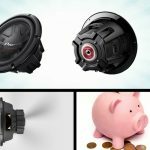 Installing the most basic equipment like an amp and subwoofer box, may sound easy, but the reality is often VERY different from what people might tell you and what product descriptions imply. The reason is because that in the real world, every installation is different – you’ll have to overcome new obstacles you have to be successful. 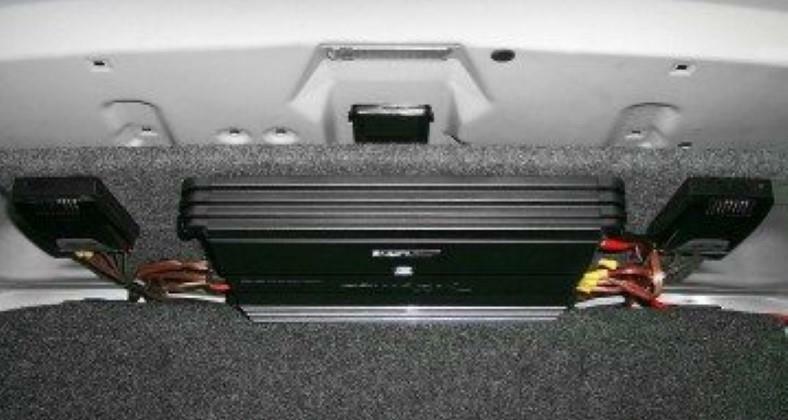 For example, installing an amplifier in some cars is easy, as there’s plenty of room in the trunk. In that case you can mount it to the subwoofer box and you’re done. However, in others space is tight and you’ll have to come up with a custom solution. 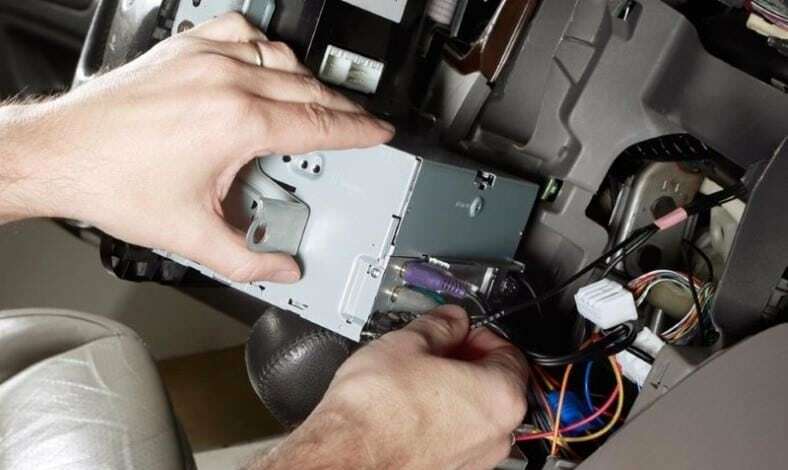 You also need to know how to use basic hand tools (like a crimp too or an automatic wire stripper) so that you can strip and connect wires along with many other simple tasks useful for car audio installation. The most basic and necessary of which are removing and installing by using screwdrivers, ratchets, and cordless drills with a clutch. It’s an essential set of skills that no one can pass up if they want to succeed. Even better, if you’re able to solve hard problems like mounting an amp in a hard-to-fit area by using basic brackets or car stereo straps, you’ve gained the ability to solve other problems, too. If you end up running into a difficult installation and have to get parts at the hardware store or maybe get some great metal mounting straps to make custom mounting brackets, then all the better! The next time your mind you run into a similar challenge you’ll have ideas to fall back on and will search for similar solutions based on what you’ve learned. It may be difficult at first, but once you succeed you will have learned many skills and lessons that you can use in other areas of your life. Similar problems that come up later will be easier to deal with because of the experience you’ve gained. Let’s say you want to install your great brand-new amp in your car trunk, but you can’t find a good place where it’ll fit perfectly. Before you get all dejected and give up, how about trying something creative like mounting it to a board and then to the rear deck? These are the kinds of ideas you develop when you do it on your own. When installing a car stereo in your own vehicle, one of the first things you realize when you start – and unfortunately learn the hard way – this that it’s often not easy. You have to be creative to find a solution in order to get things done. 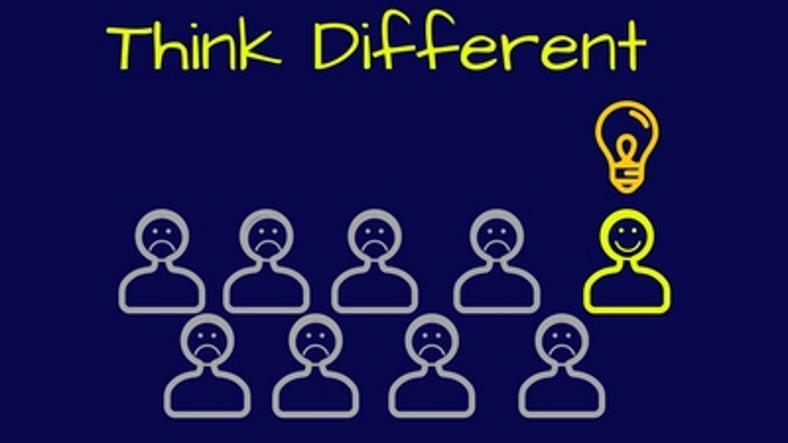 As your project goes along, you’ll have to really think hard and try different things. For example, to get a stereo to fit your car’s dash or to mount a sweet new amplifier in the trunk with very limited space it will take some good creativity. Those are things I’ve dealt with many times and it’s why I have very good installation skills. I had to get creative in order to persevere – and I did! Since this was a side business of mine, I had plenty of opportunities to improve my creativity and solve more problems…which led to even more opportunities because of it. Taking the first steps of doing it yourself sort-of forces you into a “try or fail” scenario. It’s funny how we don’t realize what we can do or what kind of problems we can solve until we’re forced to. “Wow! You installed your own car audio system? That’s so cool. I can’t imagine how hard that was!” It’s a great feeling of accomplishment. Hey, you did it on your own – you have every right to be proud! After installing hundreds of car stereos, amplifiers, and security systems (among other things), I can proudly say I’m very confident in my abilities – I can install nearly everything and do it well with professional results. However, I didn’t start out this way. It took years of experience, practice, and a lot of learning from my mistakes to build the confidence I have today. Likewise, any job you’ve accomplished – no matter how big or small – will reward you with a little bit of experience that boosts your confidence and self-esteem. 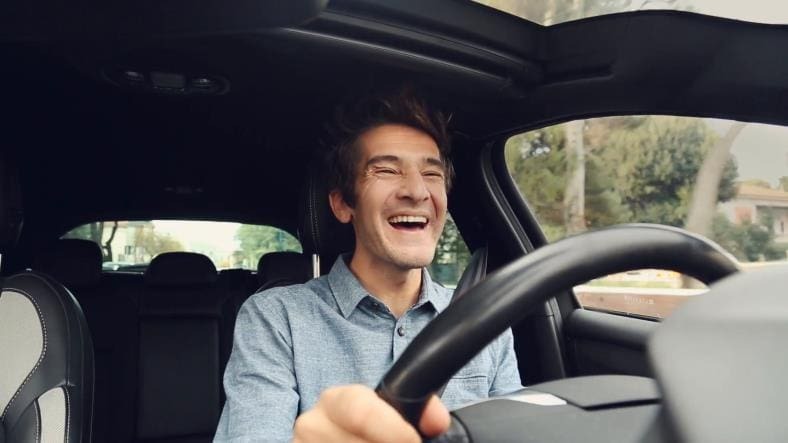 For example, let’s say you bought an amazing new Bluetooth compatible car stereo like this one and after a bit of struggling you finally got it installed and you love it. Ok, sounds great! Now you feel a bit more secure that you can add an amplifier and subwoofer later. After all, if you can install a great head unit and it looks good, can’t you do a little bit more, too? And so it goes…when you complete a DIY project, you don’t get only the great feeling of a job well-done. You also earn the ability to believe in yourself and have more confidence in what you can do. Self confidence is extremely important for what you can accomplish in life and should never be taken for granted. Like how this looks? So does he. And he didn’t have to pay hundreds of dollars to a shop to do it for him. When you’re willing to take the little steps and figure out how to install a system on your own, you realize how little you actually need to depend on others. It’s an incredibly useful trait in other parts of your life to have. This is one of my personal favorites and for many reasons. I grew up surrounded by very few – if any – people I could depend on. For more times than I’d care to recall, life was a struggle. I was forced to learn to rely on myself. That can be both a blessing and a curse, but if we look at things optimistically, I can say I’ve gained plenty of life skills because of it. When you can complete your own projects yourself without asking or paying others for help, you’re free from wasting some crazy-high amount of money for a task you could have easily done yourself. You can do things the way YOU want – with notably better results once you get better at it! It’s fantastic being able to not have to stress out over how you’ll handle installing something in your car or truck. After having completed 1 or 2 do-it-yourself (DIY) projects on your own, you’ll just sort of “know” what to do next. You’ll find that you’re able to do so without nearly fainting at the idea like so many people today. So often these days I see examples of people who seem nearly helpless as they’re not resourceful at all. Don’t underestimate what you can do – there’s an extremely high chance that you’re perfectly capable of building all kinds of stereo systems (or whatever kind of project you dream up) without paying a “pro” to do it for you. Here’s some food for thought: in many cases the results I saw from other “professionals” weren’t really much better than what the average person could have done themselves! The “your way rule” means thinking outside of the box. Don’t just be ho-hum and think you can’t have a better sound or have YOUR things the way YOU want them to be – you can! Understand that nothing comes just the way you want it so you must be willing to work on it yourself. Most people can’t see things that way. I have a good lesson in life I’ve learned over time, and it’s this: if you want things done your way want to get the best enjoyment, you’ll have to do it or customize it yourself. Almost nothing in life is perfect for you out of the box. What does that mean? 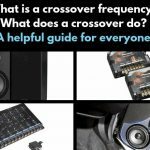 Essentially it means you need to understand that if you want the best sound, the best custom set-up and, or the coolest looking install, for example, you’ll have to customize yourself. You will almost never find things in life that are perfect as they are by themselves. Understanding this means you accept how you’ll have to put in some time, money, and effort to get what you want, but it’s the mindset that’s critical. Most people just accept what they have and seem to shrug their shoulders – they can’t imagine that things could be made better or could be improved upon. I’d like to think planning for a project goes without saying, but it’s not necessarily something people appreciate until they learned the hard way. In reality, when you finally decide to begin working on a big project, it often turns out way different than expected. Some parts come up missing, you don’t have enough wire, you can’t find the right tools – and the list just goes on and on. When you install your own car stereo system, you learn how much time, gas, money, and stress it can save you if you did a better job of planning ahead of time. You can’t possibly plan for everything, but you can definitely improve how things go. Learning to 1) make a basic plan and 2) be organized and prepared are skills that are very valuable. A small amount of effort up front pays off greatly not just in your personal projects but in other areas of your life. By installing your own equipment you’re learn this and will gain another great skill you’ll use elsewhere. Yeah, I know. Maybe it does seem ridiculous to point it out, but you’d be surprised at the number of people who don’t prepare for these tasks. I have seen (and learned the hard way) what can go wrong when you don’t plan or prepare well. Sudden complications can bring your installation to a grinding halt and cost you days of delay and a lot of stress. Who wants to stop in the middle of installing that awesome new car stereo just because they don’t have the right parts or tools? When that happens it feels terrible! Being organized and making a simple list is definitely smart. 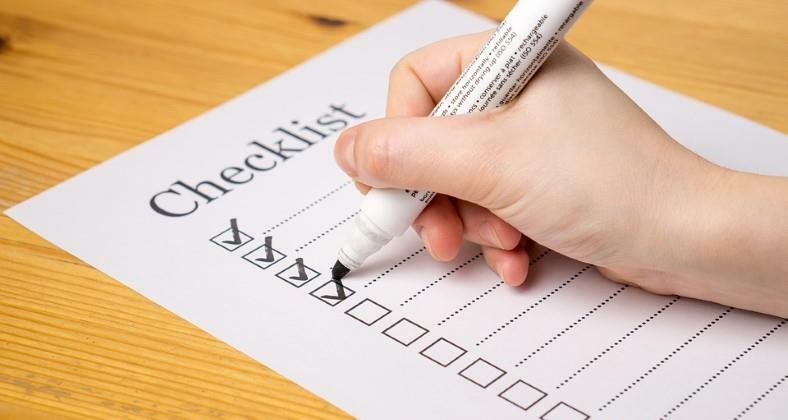 Once it’s become more of a habit and less of a chore, you’ll find yourself making checklists for your everyday life, too! You can now provide an accurate estimate of the amount of time a project will take – allowing you to foresee possible problems that might come up. As a professional, it is expected of me to expect and prepare for certain complications. 10. Most it importantly – it fells GREAT and it’s very rewarding! Man, let me tell you, this is the most awesome feeling in the world – finally getting your project together and seeing and hearing the end result. It’s like proud and warm feeling inside. That’s a feeling very few people will ever experience – and it’s a shame. You don’t have to paint the Mona Lisa like Leonardo De Vinci did to get a very rewarding sense of accomplishment. Even installing a small pair of tweeters does the same. Sure, maybe it’s on a smaller scale, but it still feels great! Driving down the road listening to your favorite music, sipping a drink out of your awesome new mug, and loving it! Working on your own car audio system and enjoying the results is a fantastic feeling. Listening to & enjoying your favorite music with sound quality than ever before is great. Based on my own installation experience and personal accomplishments, I’ve listed 10 great reasons why you should install your own car stereo system. Before giving up and paying someone else to install it for you, consider what I wrote. There’s nothing wrong with trying. Don’t be discouraged if you don’t know where to begin. 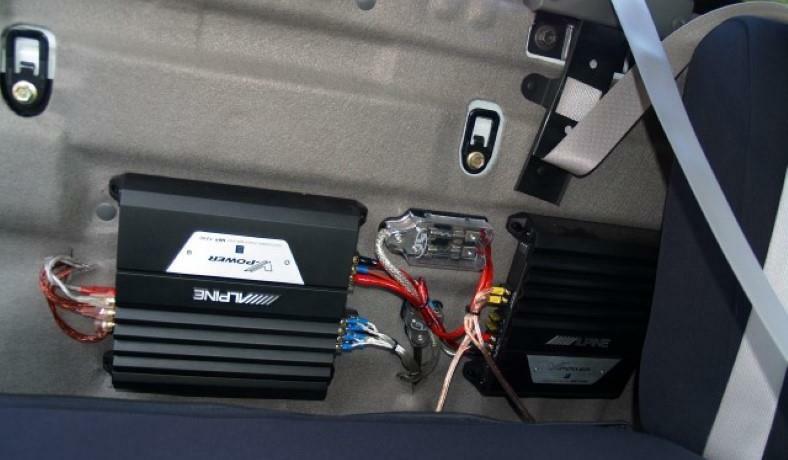 You can find lots of step-by-step guides on the internet, just like my post about how to install a car subwoofer and amplifier.